Understand your options and find the best fit your learner. Any way you approach it, school choice is overwhelming. We want to provide the best for our children, but the educational landscape is complex and varied. For most parents and families, our basis of knowledge on the different types of schools available come from our own experiences and stereotypes perpetuated in media: mean nuns, over-crowded public classrooms, or elitist private schools. Finances and housing also complicate our decision-making. 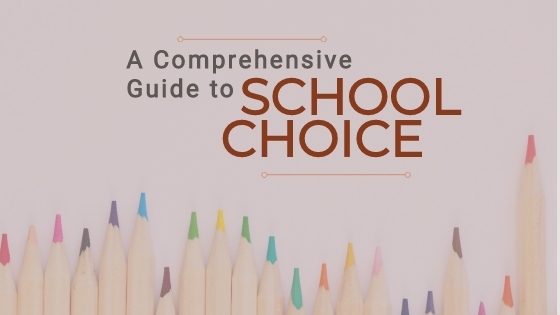 In this guide, we’ll highlight various options within the school choice process. First, we will explain the difference between a school’s philosophy and structure. Then we will provide you with a brief primer on the most common U.S. school terminology. Lastly, you can expect a review of available STEM (Science, Technology, Engineering & Math) learning opportunities for each. First let’s distinguish between a school’s learning philosophy and a school’s structure. A school’s structure has less to do with learning and more to do with operations. There are three main factors that dictate a school’s structure: its mission, funding, and student demographics. Mission: Every school has a stated mission, mandate, charter or similar document. These state the vision, goals, and philosophy of that school. For a public school with state funding this is a “mandate” or “charter” between the school and the state. Whereas for a private school this is usually a “mission statement.” These documents are readily available online and offer a good starting point. However, they are typically very general and won’t give you much information on the day-to-day culture of learning within the school’s walls. For this, it’s better to visit, talk with parents, school administrators, teachers and alumni. Funding: Like all organizations and operations, schools need money to run. Where this money comes from is an essential part of school structure. We use it in this article to broadly classify schools into public and private. Public school funding comes from state, federal, and local tax dollars as well federal block grants. While Private school funding comes from student tuition, fund-raising, and endowments. In the case of parochial schools, funding is connected to a religious institution. As such, public schools are tuition free while private schools have tuition, which varies from school to school. Student Demographics: Finally, a school’s student body is defined by its structure. For instance, the students who attend a public “neighborhood or community” school are made up of kids living within a specific geography. On the other hand other public schools like a “charter, magnet, or intra-district” (definitions below) have students from across the district or region. These students are selected by lottery, school choice, opt-in, or application process. For private schools, students are selected through an admissions process. Some schools only serve students with special needs whether physical, behavioral, or learning. 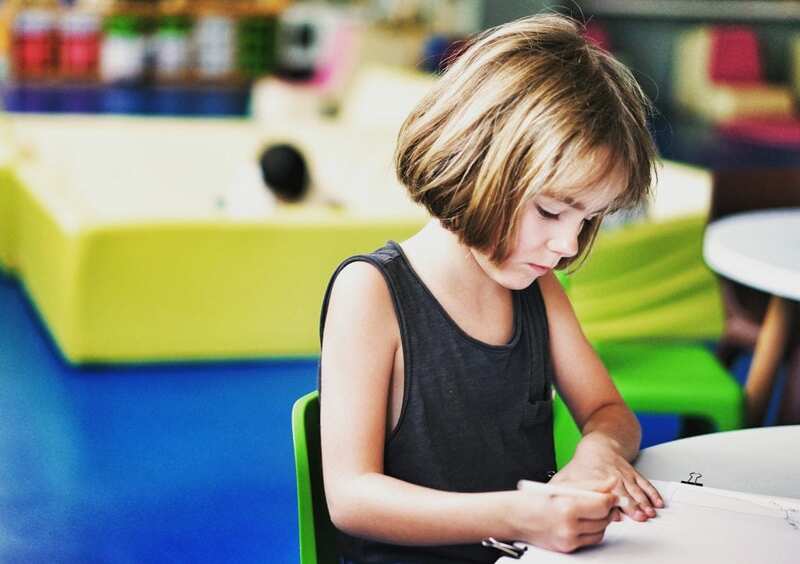 Some better-known examples of school philosophy are Montessori and Waldorf, but this also includes faith-based schools, arts magnets, STEM charter, and language immersion schools (definitions below). It is important to note that every school in the state needs to be certified. Certification ensures that children are safe, healthy, and working towards specific academic standards. For the most part, a school’s structure and philosophy will affect the day-to-day routines, classroom subjects, and type of field trips. However, there are still standards set by each stage that provide guidelines for what children must learn at a minimum. So despite a school’s specific beliefs, your student will still learn science in a religious school, and history in a language immersion school. In the end, every school will have positives and negatives. No matter which school you choose, your child will have great and bad days, as well as moments of boredom and excitement. We believe that information is power. With this in mind as you research schools, we hope that the definitions below will help clarify some of the choices you have available to you. However, some drawbacks to public schools are usually tied to inadequate government funding which often results in a lack of resources for students. This includes crowded classrooms, lack of resources, or less individualized attention. For STEM learners: As public schools are aligned to state standards and testing, some science and engineering make take back seat to math and language. What you can do: Find out if the school has a dedicated science teacher and science classroom, computer lab, or maker-space. Find out where students go on field trips, and if there are STEM related afterschool or vacation-week programs. The answers you receive may be a good indicator to the kind of STEM learning happening in the school. In most states the school sponsor is the department of education or local school board. but However, it can also include a local university or private entity. This “charter” also defines elements of both the school’s structure and philosophy and varies widely from school to school. A charter can define the school’s mission, admissions process, curriculum, student assessment, and over all learning philosophy. This freedom to define itself and freedom from state standards does add a level of scrutiny. Charters are typically reevaluated every five years and are expected to surpass state expectations. This can be good news for students and parents for a variety of reasons. and expect high levels of student accomplishment. However, if the school does not show student achievement, its charter can be revoked and the school closed. Charter schools also find themselves at the center of political controversy. Critics say that Charter schools are run like deregulated private companies. For instance, They receive private funding and can get around school regulations such as student assessment and unions. For the STEM learner: Many Charter schools are now focusing on STEM, and particularly bringing technology into the school. Consequently, this attracts teachers with real world STEM background such as biotech, lab science, and engineering. Magnet Schools:Like Charter schools, Magnets are a public school open to all students in that district, tuition free. Unlike, “Community schools,” Magnets have a specific school-wide learning focus, that is featured on within each grade in the school. However, each school district is different. Magnet schools are operated by the local school board. Students in Magnet schools are held to same state testing as all other students in the district, while Charter schools can be exempt. Magnet schools are unique because they attract students from across the districts. Furthermore, Magnet schools are not bound to only accept students from certain zip codes or household addresses. Because of this, they represent the largest form of school choice in the country, serving an estimated 3 million students. Reputation and popularity raise the demand, which is good for schools. Similarly, students benefit from a healthy mix of diversity, and are free and open with their choices for education. The benefits of a focused curriculum and diversity lead to high demand, and students are typically accepted via a lottery system. In some states, where the focus of the school is advanced academics, some aptitude testing might be required. Both Immersion and Bi-Lingual schools are a model in which a language other than English (for U.S. schools) is heavy featured. Studies show that learning a secondary language from an early age promotes life-long mastery of that language. 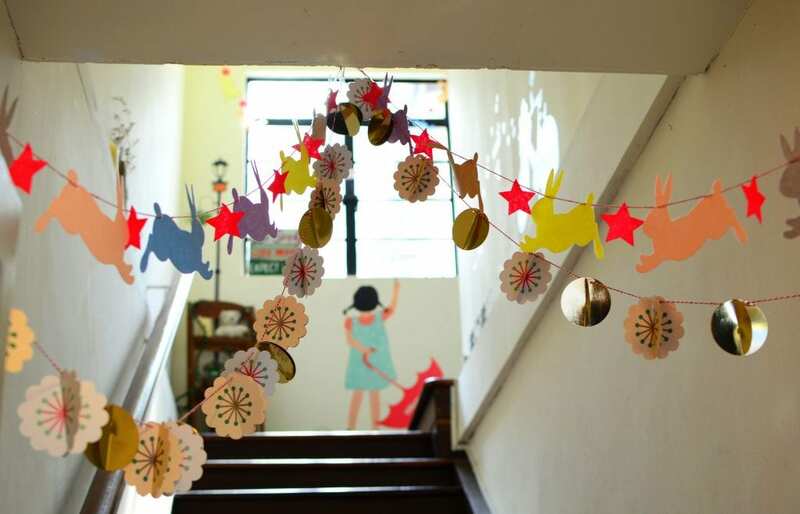 In addition, it can also have real educational benefits as it promotes brain elasticity. However, there is a significant difference between these two models. An Immersion School not only teaches in two ways. Students are taught the secondary language from a language arts perspective, but Immersion goes further by encouraging comprehension of subjects such as math in the secondary language. The student receives multiple exposures to apply the second language in a subject beyond the traditional reading and writing. It is meant to teach language in the most natural way, like traveling to a foreign country. “Total Immersion” in which 100% of the school day is taught in that language. or “Two-Way Immersion,” in which students receive instruction in both languages. One great benefit of immersion schools is that students from different language backgrounds are combined in the classroom, creating opportunities for powerful cultural exchange. In Bilingual Schools, students receive instruction in two languages, in that math and reading maybe taught in both languages. This ensures that students who have English as their second language, can learn subjects in their birth language. Inter/Intra District Schools:This is not a type of school, but rather an allowance made by that school or school district to allow for greater choice. This idea allows students from inside (inter) overall district to attend an alternate school of the family’s choosing. One reason for this may be that caretakers who are responsible for afterschool care, live closer to another school. Additionally, some neighboring districts may allow a family to send their child to a school outside the district (intra) into a neighboring school system. Attending a school outside the home geography requires either the permission of both superintendents from the receiving and home school district’s as there may be money that follows the student. If funding is not released, the receiving school district may seek tuition payments from the family. For STEM learners: This allowance may provide an opportunity to attend a STEM magnet school or a school with a strong STEM curriculum that is located either across town (inter-district) or in a neighboring town (intra-district). Either way, it is an option worth exploring. For STEM learners: Most Voc schools now offer career pathways in STEM ranging from veterinarian tech, computer programming, and environmental resource management. The primary focus is currently on trade jobs, not advanced academics. However there is growing attention and funding for Voc schools as the U.S. job market sees a void in skilled labor, especially in the STEM fields, making a Voc. education a great option for many students. and even school lunch programs. The obvious downside is that the cost of the education is placed on the family and can often be upwards of $10,000 per year. Critics also argue that private schools create an undemocratic educational system. They believe that private educational institutions give an unfair advantage to the wealthy; and also turn resources away from improving the Public School system since the government funds public schools based on number of children enrolled. There are a significant number of private schools in the US. A report from 2013-14 school year reports that there are over 34,576 private schools in the US representing (25% of all US schools) and educating some 5,751,000 (10% of all US students). To better understand the dynamics within Private School options, we’ve broken them down into three larger categories: Religious, Independent, and Preparatory. Non-Religious private schools on the other hand represent range of independent, military, and preparatory. …are always private. Their mix of religion within the curriculum is an educational style that public schools do not participate in. The presence of religion in a certain school varies in execution from the overt, such as morning prayers, and study from a religious text, to subtler forms. One example is Quaker Friends school, which utilizes certain elements of the Quaker belief such as silent meetings and conflict resolution. Regardless of the specifics of their beliefs, religious schools mostly rely on student tuition for funding. Parochial Schoolshave an affiliation with a Church or other religious organization that supports the school financially through funding, use of space, and staff. This funding structure is the subtle difference between a Religious and Parochial Schools. Perhaps the most iconic example is a Catholic School located on the grounds of the Archdiocese and run by nuns, priests, or other religious figures from the adjoining organization. For STEM learners: Gone are the days of science vs church. Nowadays, most religious schools will have an active STEM program. 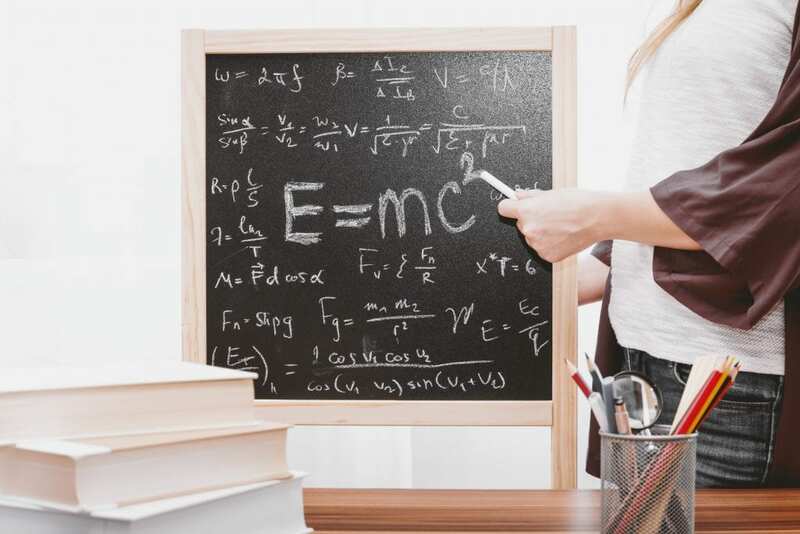 As with any school, it is worth asking about the philosophy of science education within that particular school to ensure that there are no potential conflicts between the school’s philosophical approach and science. Independent Schools:While all independent schools are private, not all private schools are independent. The difference is in its structure. An independent school is governed by an independent board of trustees. It is unaffiliated with any church, for profit corporation, or other entity. While private schools can be operated and funded by a religious organization, individual, for-profit educational corporation or any non-governmental agency, independent schools are supported by fundraising, endowments, and student tuition, which is typically higher than other private schools. Independent Schools must be accredited by the National Association of Independent Schools and can represent a huge range of educational philosophies and academic focus. For STEM learners: Independent schools have the potential for excellent STEM programs. Often with state-of-the-art facilities, many Independent schools teach current STEM concepts and allow kids to get their hands-on new technology, lab equipment, and real-world STEM learning. This of course comes at a cost, and that cost is passed directly to the families through tuition. The term Prep School is more of a moniker than an actual structure or philosophy. Prep schools can be anything from a public, private, parochial, or charter school. These schools are often selective, according to their own school structure and may ask for pre-admissions testing or interviews. The goal of a Prep School is to “prepare” students for high school with an eye towards acceptance to an elite university. You may be thinking, “But, aren’t all schools doing this? “While the answer is yes, Prep schools are different in their approach. Typically, Prep Schools are K to 12 schools and teach in an accumulative, “building block” style, in which elementary school skills will be built upon in Middle and then High school. This helps prepare students for advanced placement classes and to achieve high scores on pre-college testing. For STEM learners: Prep schools engage students with science and math at a young age, moving through content quickly. Some critics argue that teaching too much content ignores crucial elements of a true STEM thinking such as inquiry, trial and error, problem solving, and creativity. However, like any school, it will come down to individual teachers and their ability to make learning engaging. International Baccalaureate Programs:There are over 4,700 “IB” schools in some 150 countries worldwide. With a focus on critical thinking, logic and a world view. An “IB” school must be authorized by “IB” and provide specific “IB” professional development to its teachers. The program’s philosophy is developing students who are active, caring, lifelong learners who demonstrate respect for themselves and others and have the capacity to participate in the world around them. It focuses on the development of the whole child. With a focus on cross-disciplinary learning, students will develop science knowledge in the context of the world around them, and globally. College admissions officers look favorably on IB program completion. There are often significant scholarships available for program graduates to access as well. For the STEM learner: The IB has a healthy focus on hands-on, inquiry science in a global context. 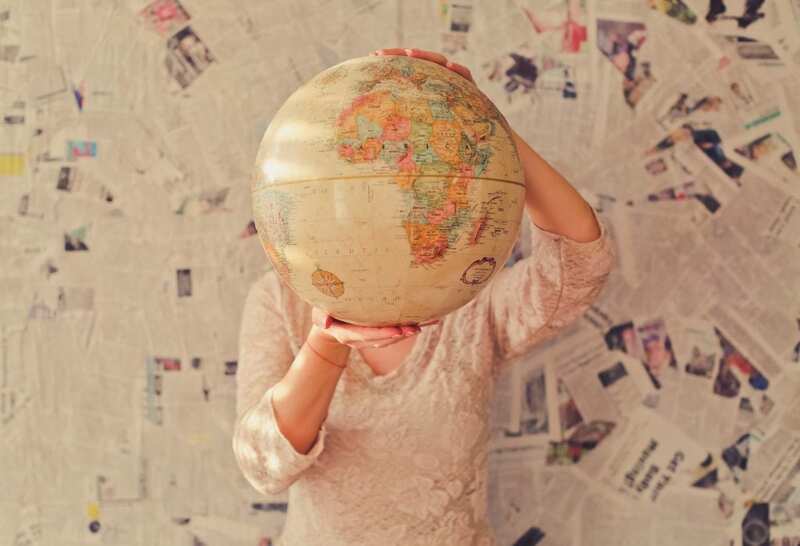 With a philosophy that includes questions like, “how does the world work?” and “how do we share the planet?” STEM learning in an IB school will have lots of real-world connections to news, the environment, and current scientific discovery. For more read: What is an IB education? Montessori Schools:One of the best-known educational philosophies manifested into a whole school setting. Montessori schools believe in self-paced and peer learning. Students in multi-age groups work for uninterrupted blocks of time to explore what excites them. The classroom is run by a certified teacher, who arranges age appropriate learning materials around the room for students explore at will. There is a focus on direct-experience through the senses and through doing. The classroom should promote this exploration in a balance of freedom and order. It is worth noting that students who require a lot of structure might find the free choice overwhelming. For STEM learners: While the Montessori philosophy focuses on human spirit and interaction, there is also an attention to student inquiry and curiosity. This kind of open-ended learning does promote the design and scientific processes, allowing for trial and error and experimentation. However, most Montessori environment restrict technology use in favor of manipulatives. Waldorf Schools: Started in 1919, Waldorf education reflect the global trends in humanizing education around the turn of the century. Since that time Waldorf schools, much like Montessori schools, allow students a lot of freedom to choose. Waldorf schools put a great value on imagination, arts, social relationships, with the goal of developing young people who are empathetic and self-aware. The Waldorf philosophy allows students to self-grade their work, build their own learning materials. For the STEM learner: ingenuity and social capacity are two important outcomes of Waldorf learning, preparing students to be collaborative and arguably at the expense of learning facts and figures. But facts and figures are only as valuable as the person’s ability to understand them, communicate them, and question them. Roughly, 2 million students are homeschooled in the U.S. each year. This number represents 3.4% of all U.S. students. Home schooling is legal in all 50 states, and teachers with a GED or higher equivalent degree and lacking a disqualifying criminal background are legally allowed to teach home school. Home school rules vary state-to-state, but typically require some form of the traditional curriculum like reading, spelling, grammar, mathematics, and civics required. Students can start homeschooling at any point and in any grade. In most cases, parents turn to home schooling after traditional schools prove to be ineffective for their child. Some cite a lack of socializing as a downside. However, there are now robust home school networks around the country that both share resources, but also provide co-teaching opportunities and social meet ups. For a STEM learner: Home schooling can be a wonderful experience for a young STEM learner as there is time and space to follow curiosity. Multi-week experiments, field trips and work place visits allow for real world learning. As home school learning is intrinsically tied to a single or small group of teachers, there may not be the same diversity of content knowledge that there is in a traditional school. In other words, if the teacher is not well versed in physics or chemistry, then the learning may be heavily based in books and digital resources. This modern addition to the traditional “Home school” connects students to teachers and learning resources through an internet platform. Students can chat with real teachers to get help, ask questions, and engage more personally in their education.